Dr. Osorio is a caring and gentle Dentist. He has been practicing Dentistry for over 20 years and is very skilled and knowledgeable. He is always happy to take the time to talk to his patients and explain their treatment in a way they can understand. Dr. Osorio grew up in Barranquilla Colombia and later moved to Cartagena to attend the prestigious Colegio De La Esperanza preparatory school. He received his Dental degree from University of Cartagena in 1988 and shortly after established a private practice in Santa Marta Colombia in 1991 where he practiced for ten years. 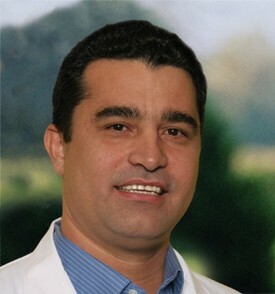 In 2007 Dr. Osoiro passed his California Dental Board exam and became a licensed dentist in the United States. He has been practicing dentistry in the Sacramento and Citrus Heights area for over 8 years. In his spare time Dr. Osorio enjoys biking, skiing, soccer, and spending time with his family.